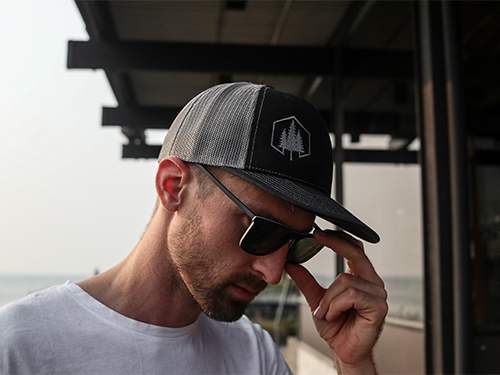 Summer in the city or in the mountains means sun. 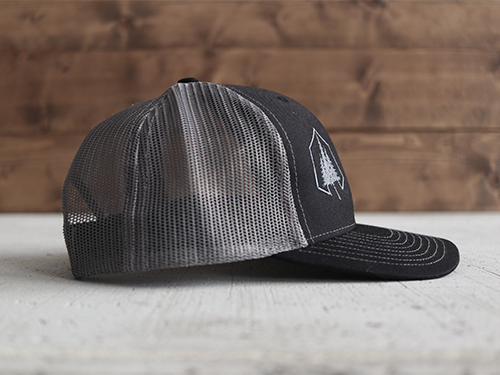 To keep the sun out of your eyes on adventures, we came out with our version of the classic trucker hat. 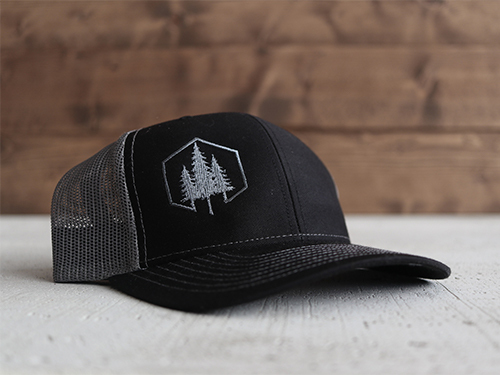 We started with the highest-quality trucker, a Richardson brand #112 with 100% twill-cotton front and breathable mesh back. 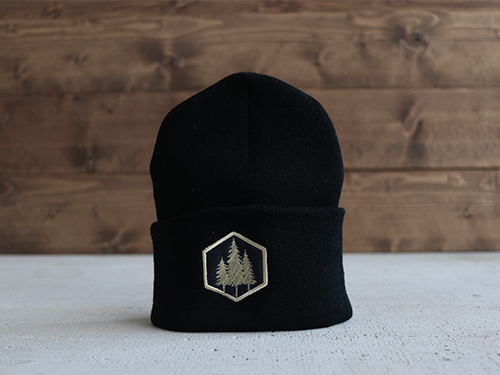 We embroider our three trees logo, or our Daydream design in microthread. 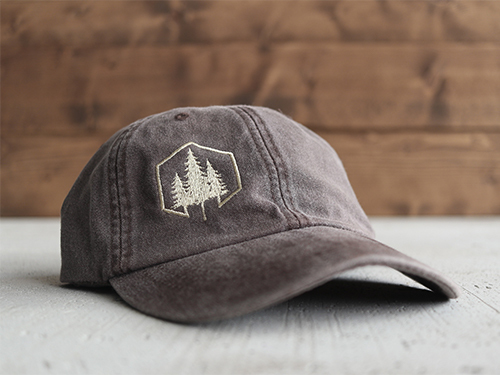 This trucker hat is also available with green thread or in a light grey version.